This article originally appeared on GeekDad.com. Reprinted with permission. 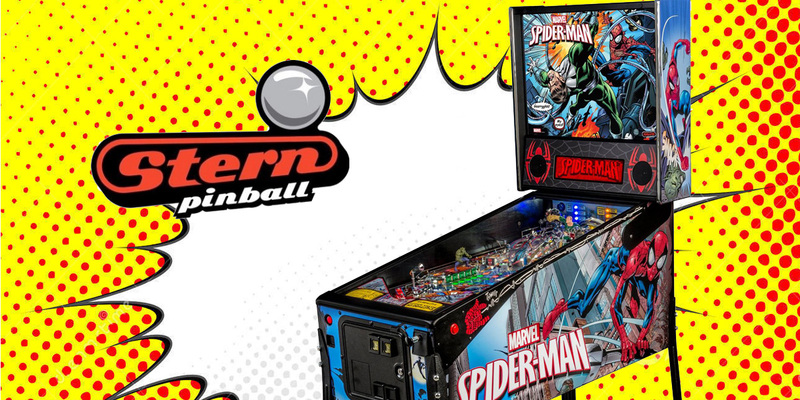 The spider sense of pinball enthusiasts worldwide had been tingling for the past few months with speculation that Spider-Man would be Stern’s follow-up game to this fall’s Game of Thrones pinball. Stern president and CEO Gary Stern was even tight-lipped about the next title release when we interviewed him just before IAAPA 2015. Now, however, Stern has confirmed the rumors with the unveiling of a newly re-themed “Vault Edition” of Marvel’s web-slinger. 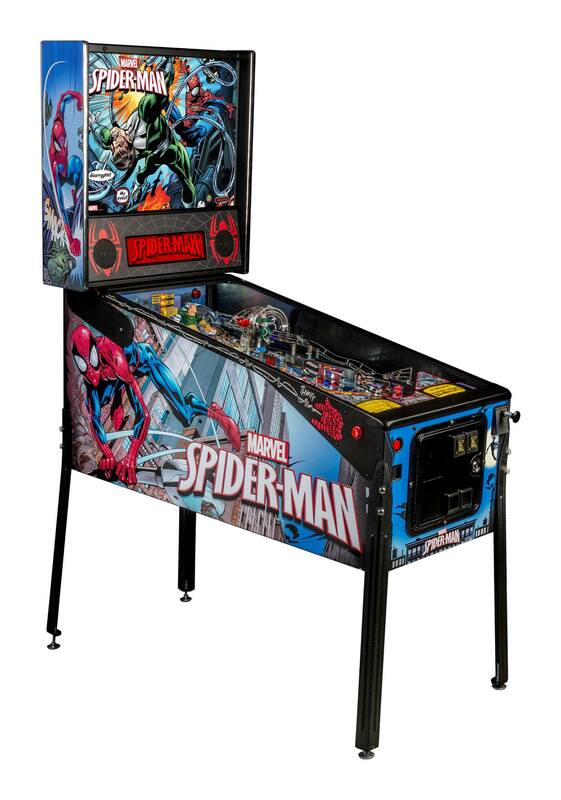 If you’re reading this and thinking to yourself “isn’t there already a Spider-Man pinball machine?” you’re right. In 2007, Stern released a Spider-Man game based on Tobey Maguire movie trilogy. (Now defunct Gottlieb also released an Amazing Spider-Man game back in 1980.) You know the phrase “something so good bears repeating?” Yeah, that. Stern’s 2007 release has proved to be a popular title among self-professed “pin heads” and demand has only grown over the years for the title with prices on the secondary market climbing higher and higher. 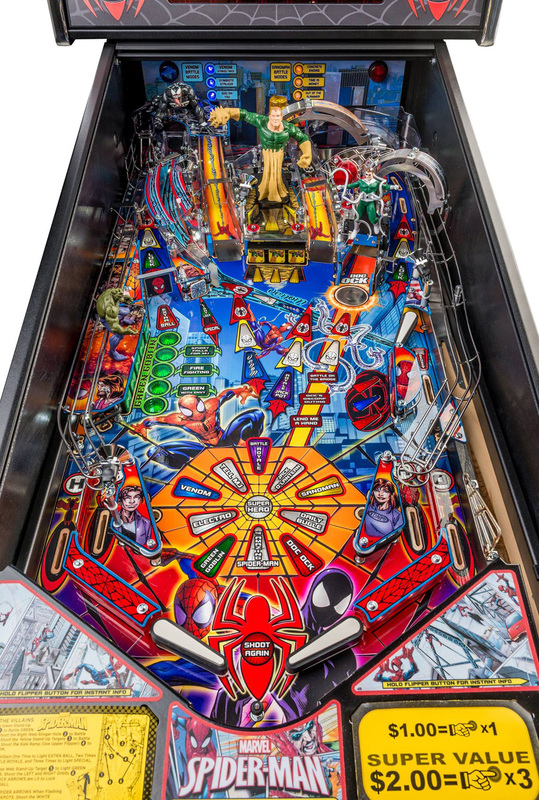 Though Stern’s business model for new games includes a pro, premium, and limited edition offerings with tiered features and pricing, their recent foray into the “Vault Edition” has allowed the world’s oldest and largest pinball manufacturer to capitalize on their back catalog. • The same amazing gameplay of the original, with an all-new look and feel. • All new art package, including: cabinet, back glass, decals, and playfield plastics, designed based on images from the actual MarvelUltimate Spider-Man comics library. The Ultimate Spider-Man series is a modernized re-imagining of Marvel’s long-running Spider-Man comic book and it is only appropriate this theme is applied to re-imagine the pinball machine as well. The MSRP on this bad boy is $7595, but discounts can be found by shopping around for authorized distributors. If you’re geeking out right now, Stern has your number. Combined withSpider-Man, recent releases of Game of Thrones, AMC’s The Walking Dead, and rumors of a future Ghostbusters pinball, it appears geeks will have a tough time deciding with which game to take the plunge on first.